2 Bedrooms, 1 Full Bathroom, Sleeps 5. Furnished two bedroom apartment. Top floor (2nd floor) Spacious 2 Bedroom getaway, with some original details. This apartment sleeps 6 people. Apartment is this lovely brownstone has a stainless steel refrigerator, stove and a dishwasher. Hardwood floors, high ceilings and recessed lighting. To add to the serenity, both the living area and master bedroom comes equipped with a ceiling fans and recess lighting. Kitchen (with skylight and bathroom recently renovated! For private use, a WASHER/DRYER AND A DISHWASHER already in the unit and included in the rent. The electricity/cable/internet is the responsibility of the tenant, that can be easily setup. I have been in real estate/management for over 20 years. 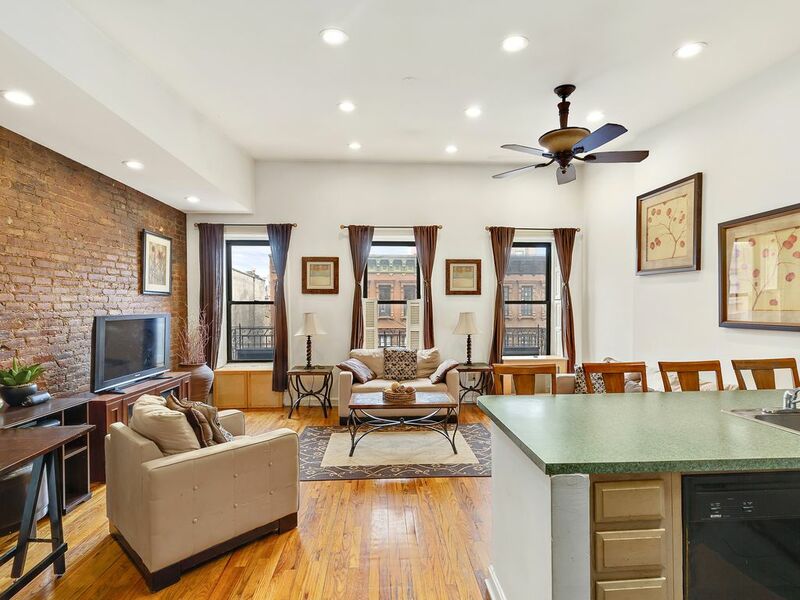 This property is located in the village of Harlem, uptown Manhattan NYC. The apartment is like a house within a building. The apartment is simply quaint! Quiet area with exciting things to do nearby. You can get to downtown Manhattan within 15-20 minutes by subway. Close to restaurants, stores, Park, Supermarket, Winery and shopping. Pool is located at the YMCA not far from the building. Available Items: These are items you can have ready in the apartment when you arrive at an additional fee listed below. Washing Machine/dryer - $125-$150.00 (entire stay) Air conditioner - $50.00 flat fee Air Purifiers can be provided at an additional fee of $15 per day./ Per machine. Other Activities: YMCA, and Planet Fitness Gym. Rates are based on Occupancy of 1-3 people. 4-5 People are an additional $60.00 per nite/person.